Description: Why build when this new home located in popular North Sapphire Estate has all the added extras you desire, making it stand out from the rest. The exceptional home has been built to the highest quality by Coral Homes in November 2017 and features four generous bedrooms and three large living areas. The family friendly floor plan has the main bedroom which includes a large stylish ensuite and walk in robe located at the front of the home and the remaining bedrooms all with fan lights and built ins located at the rear of the property. The three separate living areas include media room, lounge room and the light and bright open plan family dining kitchen area where the whole family can come together. No expense has been spared in the kitchen with unique pendant lighting above the large island bench which offers plenty of space to create the largest of feasts for family and friends. Stone bench tops and stainless steel appliances including dishwasher and 900mm gas cooktop and electric oven compliment the modern design which also boasts a large walk in pantry. Seamlessly step out from the open plan living to the alfresco covered entertaining area that overlooks the low maintenance fully fenced level yard and the 10.5m inground pool. 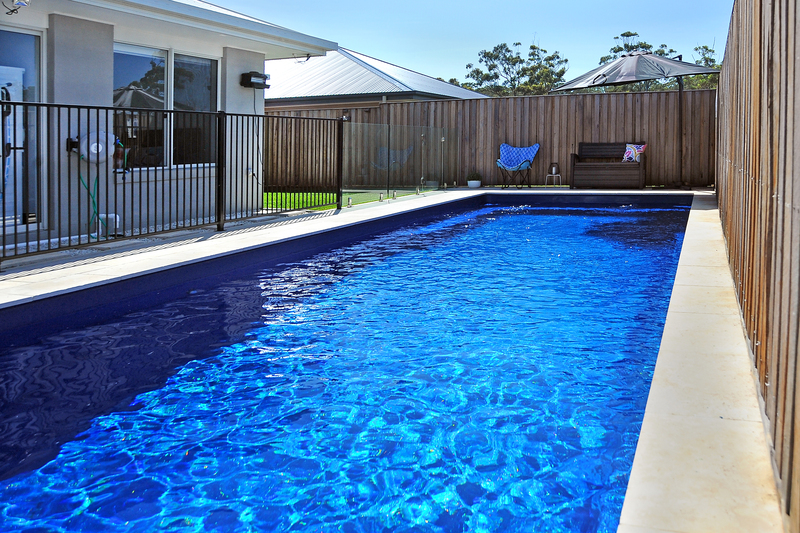 The mineral pool has the capability of being connected to the 5kw solar system for heating providing all year-round swimming and outdoor entertaining. The home is close to Moonee Beach Shopping Centre and Tavern. As well as all that North Sapphire has to offer such as Beach Stone Cafe, children's playground and of course Sapphire Beach which can all be accessed by the cycling and walking trails or a quick car trip.